January and August are Lilly Pulitzer’s shoppers FAVORITE months! Why you may ask… I’ll fill you in on the secret. It is the BEST because of their huge sales that only happen twice a year! Now that my PSA is over, back to your regular blog post read. I first fell in love with LP back in 2013, though it has not been that long I had always had an eye on her patterns years before. My first dress was given to me as a birthday gift from my husband (boyfriend at the time) along with a matching koozie and monogrammed cup! My obsession grew and thanks to the sale twice a year I was able to add to my collection. Friends and family would point out her prints and send it to me with a message saying “saw this and thought of you”. I can not tell you what a compliment that was. Fast forward to 2016 my husband (still boyfriend at the time) comes home with the sweetest little chocolate lab. 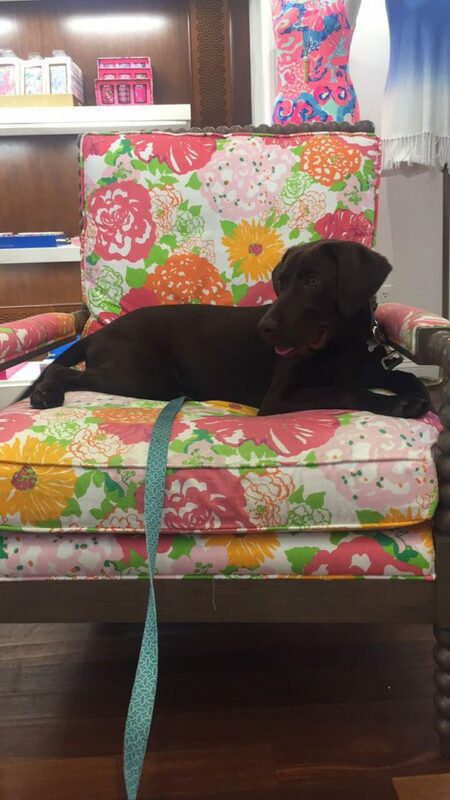 It was a she… so as you would guess it her name is Lilly “Pulizter” the Lab”, Lilly for short! 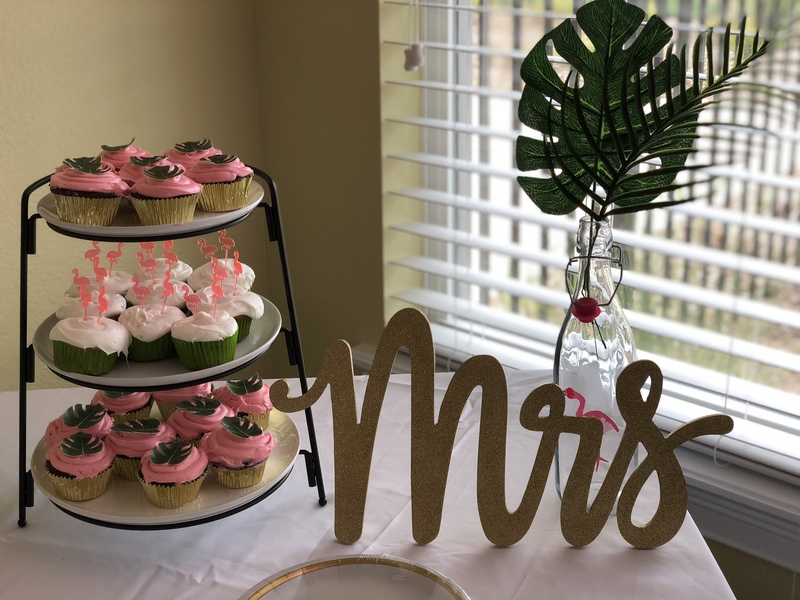 Wedding planner becomes the bride! This is my first post of a new and short series I am starting! My love for LP did not stop there, I knew when I were to be an engaged woman I would have LP incorporated one way or another. At one point on my Pinterest board, I had a photo of bridesmaids wearing LP dresses. Though I did not have a single LP print at the wedding, I wore a beautiful white shift dress with gold detail down the middle to our engagement party (thank you times a million for the thoughtful gift MOH Vannesa). 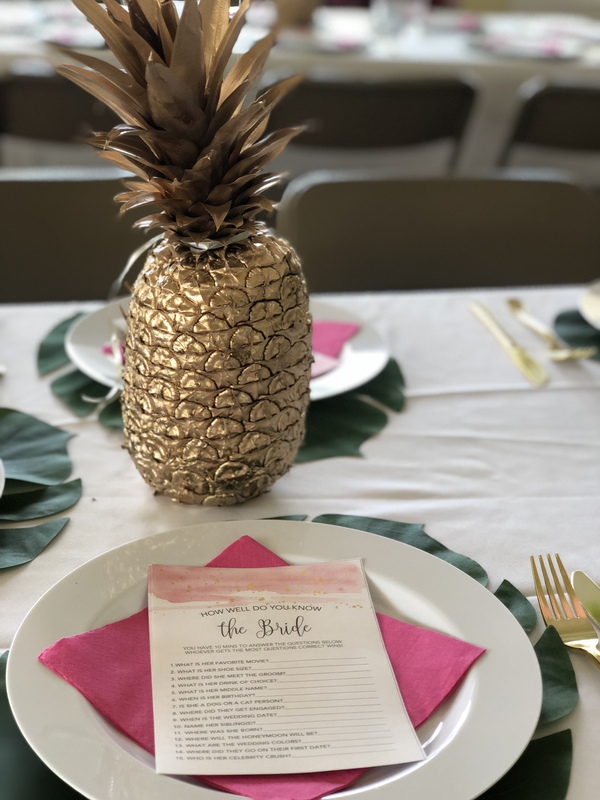 My bridal shower theme was perfect for me, Florida Modern Tropical Lilly Pulitzer Bridal Shower. I was blown away by the craftsmanship my MOH Alexandra was able to create for my special day. 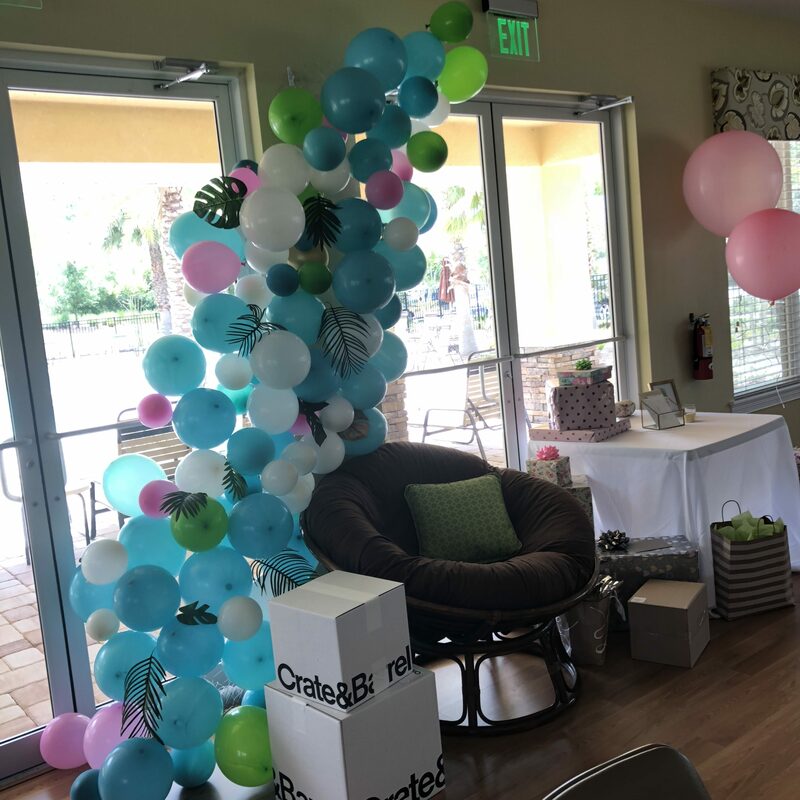 The balloon arch above my chair and the palm frond backdrop for photos are decor pieces I will never forget. My guest wore LP themselves, or Lilly inspired outfits and you can tell they had fun in their bright and fun prints!